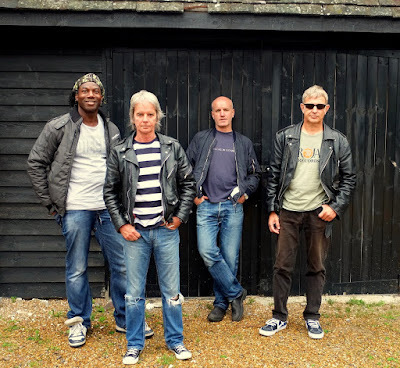 UK Power Pop/Mod/New Wave quartet The Vapors are back! 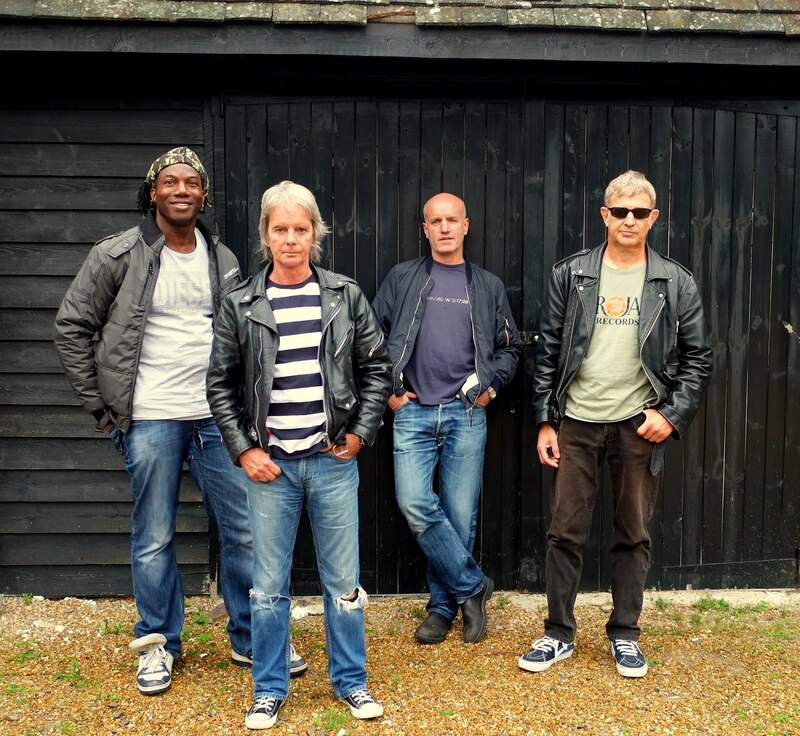 Three of the four original members – singer/songwriter/guitarist David Fenton, lead guitarist Edward Bazalgette and bassist Steve Smith – have reunited and are playing a run of live dates in the UK! 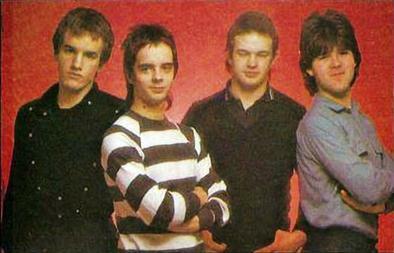 While “Turning Japanese” may be their biggest hit, The Vapors managed to issue two stellar albums and a handful of fantastic singles during their brief time together. 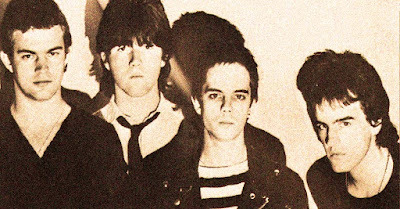 From their 1979 debut single, “Prisoners,” to the final notes of the title track of their 1981 sophomore album MAGNETS, the British quartet released roughly 30 stellar songs. David Fenton wrote all but one (the excellent Bazalgette/Smith co-write “Isolated Case”) and each song was packed with melodic punches at every twist and turn. Fenton packed every song with as many hooks as possible – the verses, choruses, bridges and middle-eights were a wonder to behold. It was as if he took all his best melodies and squeezed them in wherever they would fit. Their 1980 debut album NEW CLEAR DAYS featured “Turning Japanese” but that was merely the tip of the iceberg. Produced by Vic Coppersmith-Heaven, who twiddled the knobs for the first few albums by The Jam, the full album was punchy and powerful guitar-fueled Pop Rock. Obviously influenced by the great Rock bands of the ‘60s (The Who, The Kinks, The Beatles, etc. 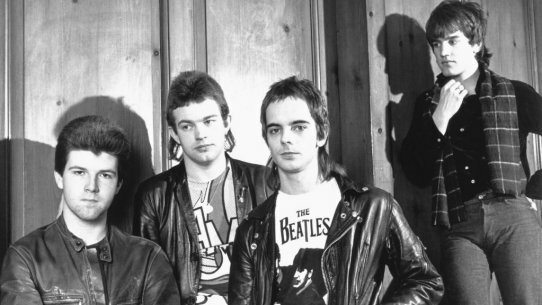 ), The Vapors managed to sound entirely unique. Early comparisons to The Jam were down to a few factors: they shared the same producer (Coppersmith-Heaven) and Jam bassist Bruce Foxton discovered the band and co-managed them with Jam manager (and Paul Weller’s dad) John Weller. However, The Vapors sounded far less British than The Jam, which made them more commercially successful outside of the UK. By the time they released MAGNETS the following year, The Vapors had matured, adding more textures to their recordings. Produced by David Tickle (Split Enz), the album was less punchy than their debut and the songs were more adventurous. A concept album of sorts, the album was filled with more great Fenton-penned tracks that were just as lovable as anything on their debut. Lyrically, they may have been darker but Fenton still packed each track with as many hooks as he could. Bazalgette and Smith’s “Isolated Case” fits perfectly into the Vapors catalog as well. The fact that MAGNETS isn’t a blatant copy of their debut album is a testament to their talents. It may have been a curve ball to those who wanted more of the same, though. Sadly, since the album didn’t have a “Turning Japanese”-sized hit, the writing was on the wall for the band. Their label all but dropped their support for the band and The Vapors packed it in. Their reunion in 2016 was a complete surprise. They played a handful of dates at the end of the year and have continued to play a few throughout 2017 with more planned through the end of the year. Perhaps they’ll record new material or issue some of their previously released tracks in the future? Whatever happens, we should all count ourselves lucky to be alive and breathing in these Vapors! 10. "WAITING FOR THE WEEKEND"
ENCORE: "HERE COMES THE JUDGE"
Visit THE VAPORS on Facebook here! Tell 'em SPAZ sent ya!